In the world of herbal teas, one of the lesser-known names is boldo. A slow-growing tree found in South America, this plant has only recently made its way into the international market; however, in its native regions of central Chile, boldo tea has served as a remedy for a variety of purposes. While it has been traditionally used to alleviate symptoms of a hangover as well as digestive discomfort, studies have shown that this versatile plant offers benefits for the liver, gallbladder, and immune system as well, making it a useful all-around tonic. 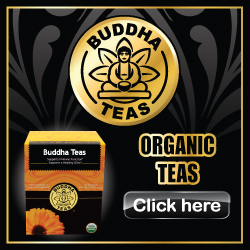 One of boldo tea’s most profound benefits is its positive effect on liver health. Boldo tea stimulates the liver’s release of digestive bile, which serves many important functions, including facilitating the removal of waste and toxins from the liver before they can build up and cause damage. It has also been shown to protect the liver cells from damages caused by accumulated toxins, as well as stopping free radical damage thanks to its antioxidant capacity. With its anti-inflammatory abilities, boldo tea may also reduce inflammation in the liver to better facilitate liver function and improve the liver’s healing ability. Perhaps boldo tea’s oldest usage is as a supplement for digestive health. By activating the liver’s production of bile, boldo tea can improve the breakdown of food for nutrients. Boldo tea possesses antispasmodic qualities that can help to calm bowel cramps, and it also serves as a mild herbal laxative to reduce constipation. It has been known to reduce feelings of stomach upset, and can even be used to increase appetite for those with eating difficulties. Due to its ability to improve bile production in the liver, boldo tea can help to eliminate gallstones from the gallbladder before they can cause problems. By increasing the amount of bile, boldo tea helps the gallbladder to be emptied more frequently, thereby flushing out gallstones before their size becomes problematic. Boldo tea supports the body’s immune health in a variety of ways. Studies have shown that it contains a number of natural antibacterial and antimicrobial agents which would help the immune system to eliminate infectious agents within the body. As an anti-inflammatory agent, boldo tea can help to ease excess inflammation, making the immune system better able to defend the body without being impeded by inflammation. It also contains antioxidants, which keeps free radicals from causing cell damage that would otherwise make them more vulnerable to infection. Some reports have also shown that boldo tea may even defend against parasites, but evidence is largely anecdotal in this area. Boldo tea is a long-lived traditional remedy of South America, known for its benefits for digestion, liver health and more. Boldo tea serves as a natural remedy for promoting liver health, digestion, and the immune system, and can eliminate gallstones and inflammation. With various beneficial properties to promote liver health and function, boldo tea proves to be a useful natural remedy for liver health. Copyright 2015 © BoldoTea.com | All Rights Reserved.